The Children’s Home Society of Washington/Build Lake City Together along with 17 other Seattle Neighborhoods received support for small businesses through the Office of Economic Development’s “Only in Seattle” grant initiative. 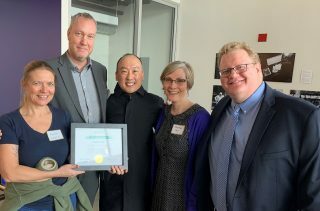 Awards were presented last week in Othello at an event that included Seattle Mayor Jenny Durkan who announced the new appointee, Bobby Lee, to the Director position for the Office of Economic Development. Funding will help with outreach and support for our small, low income and micro enterprise businesses here in Lake City as well as the creation of more murals as part of the Lake City Mural Project.